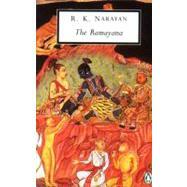 R. K. Narayan (1906–2001), born and educated in India, was the author of fourteen novels, numerous short stories and essays, a memoir, and three retold myths. His work, championed by Graham Greene, who became a close friend, was often compared to that of Dickens, Chekhov, Faulkner, and Flannery O'Connor, among others. October 10, 2006, is the centennial of Narayan's birth.